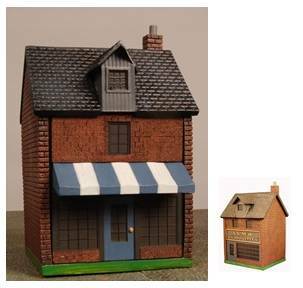 25mm/28mm scale: This is for one store front. Resin cast for strength and durability. This product does not come painted. This is an alternate store front that slides into the 10208 Lum's building. This is NOT a stand alone building and requires to have a 10208 Lum's building to be useable.